Sony announces three new home cinema projectors at IFA | What Hi-Fi? Sony has announced three new three new 4K HDR home cinema projectors today at IFA. Each projector comes with Sony’s evolved 4K Motionflow, enabling smoother and clear motion by adding extra frames to reduce blur and maintain brightness, offer HDMI 18 Gbps compatibility and 4K 60P 10bit processing, and Reality Creation analyzing each element of an image to provide gamers with enhanced clarity and resolution without noise. 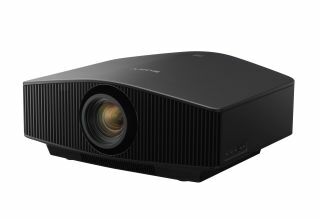 The VPL-VW870ES ($35,000/€25,000) is Sony’s premium offering, with 2,200 lumens brightness and an 18-piece All Range Crisp Focus lens said to ensure high precision within a compact and lightweight design. Its Digital Focus Optimiser further provides refined image quality and accurate focus without distortion. In the middle of the range sits the 1,800-lumens VPL-VQ570ES ($10,000/€8000), which features Picture Position Memory to quickly change settings for ideal format as well as high dynamic contrast by Advanced Iris, while the VPL-VW270ES ($5000/€5000) brings a 4K HDR picture at the company’s most affordable price point yet. “A growing number of our customers are not only using our home cinema projector range to enjoy the latest blockbusters in their living rooms, but are also enjoying immersive 4K visuals powered by the latest generation of videogame consoles,” says Christopher Mullins, Product Manager at Sony Professional Solutions Europe. The VPL-VW570ES and the VPL-VW270ES will be available across Europe from October, while the VPL-VW870ES will begin shipping in November.